Onsite seated chair massage in the workplace is an increasingly popular employee benefit and is easy for employers to offer. 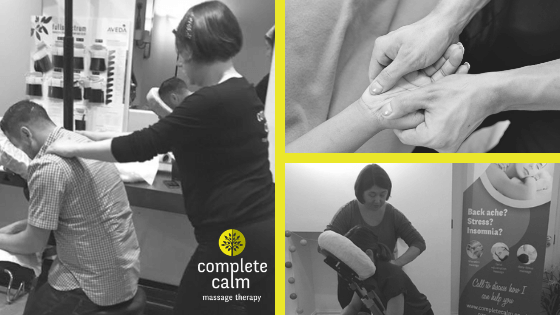 Employees benefit physically from the relief of pain and tension that even a short massage can provide. 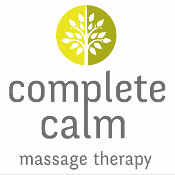 Massage in the workplace has been shown to boost productivity and morale and reduce stress and absenteeism. It is a powerful and effective quick treatment. It is easy to fit into a typical workday and requires very little space (2m by 1.5m is enough). I bring my own equipment and supplies and work independently. Employees can sign up in advance for a 10, 15 or 20 minute session and a brief consultation form is filled in. Using a specially designed ergonomic chair, I use a combination of massage and acupressure on the back, neck, shoulders and head. The treatment is done fully clothed and no oil is used so employees can go straight back to work feeling relaxed and refreshed. 2. A 2012 study reported that giving 15 minute chair massages to nurses during work hours significantly reduced their stress. Complementary Therapies in Clinical Practice.